Since Jeff Howe’s article (2006) and book (2008) on crowdsourcing, journalists and researchers have widely been using the term. In every article I read, from blog posts to academic writings, Howe is always given as a reference. The fact that most people relied on a magazine article and a business book gave birth to a variety of conflicting definitions of crowdsourcing (with or without Wikipedia, Linux, or YouTube) which made it really hard to understand for the layperson who didn’t have time to make her/his own opinion. 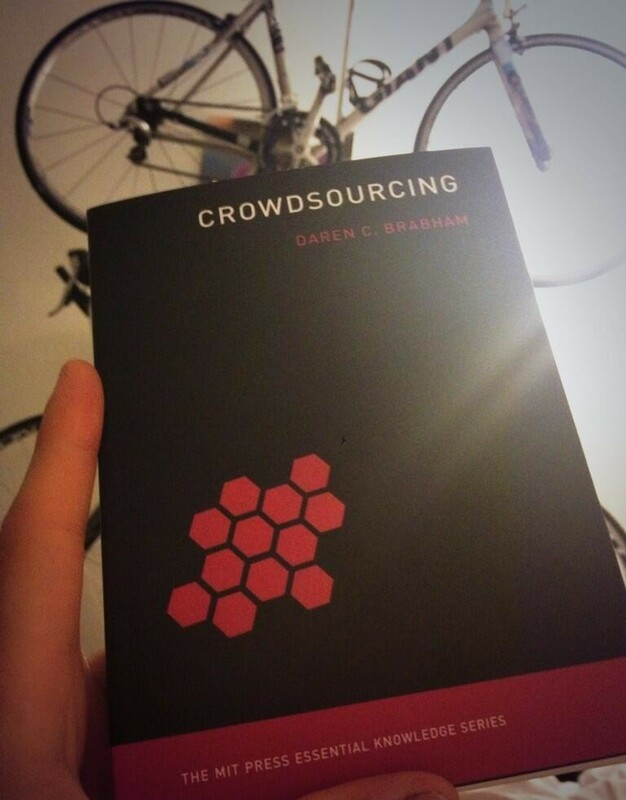 But one researcher, who wrote his doctoral dissertation about crowdsourcing, provided a clear definition from the start (which was as early as 2008): Daren Brabham. assistant professor in the School of Journalism & Mass Communication at the University of North Carolina at Chapel Hill. He just wrote a book, simply called Crowdsourcing, published in MIT Press’ Essential Knowledge Series, about what crowdsourcing is, and what it isn’t. I hope it will be used next to Howe’s article (2006) and book (2008) in forthcoming writings about crowdsourcing, because it clearly dots the i’s. The book is small, showing that it’s really an “essentials” kind of book. It’s divided into four parts: (1) concepts, theories and cases of crowdsourcing (2) organizing crowdsourcing (3) issues in crowdsourcing and (4) the future of crowdsourcing. I just finished reading and, if you are familiar with crowdsourcing research (especially Daren Brabham’s research) you will not learn fundamentally new things. But the objective of the book is not to present new findings, rather is it an attempts to unify what has been written about crowdsourcing and to present it clearly enough for everyone to understand the concept. Open source projects like Firefox? Not crowdsourcing. Commons-based peer production projects like Wikipedia? Not crowdsourcing. Voting initiatives like Lay’s “Do Us A Flavor” or Pepsi’s “Dewmocracy”? Not crowdsourcing. Why? Because in all these cases, most of the production happens on the crowd side, for Firefox and Wikipedia, or on the company side, for Pepsi and Lay’s. For crowdsourcing to happen, Brabham insists that the locus of control regarding the creative production exists between the organization and the public. “This sharing of power between an organization and the public makes crowdsourcing distinct from similar creative processes,” he explains. What about old competitions, like the Longitude Prize (1714) or the creation of the Oxford English Dictionary (1884)? Not crowdsourcing neither. Simply because they did not rely on the internet – obviously. This makes infographics like Ross Dawson’s crowdsourcing timeline conceptually wrong, and I must say that I agree with that. Given the clarity of Brabham’s definition, I went straight to using it as main reference for the Brand Crowdsourcing Timeline, which gathers and visually displays information about brand-sponsored crowdsourcing initiatives. Finally, Brabham also says that crowdfunding is a stand-alone concept, even if it is conceptually close to crowdsourcing. “Crowdfunding does not ressemble [crowdsourcing, as] an artist or an entrepreneur develops an idea and seeks monetary support to bring his/her idea to market,” he explains. “There is no engagement with the crowd on what the artistic endeavour will look like or how the start-up business will be run.” If most of the things are decided by the initiator of the campaign, and the crowd does not contribute with talent and intelect, we can’t call it crowdsourcing! There are numerous other interesting elements in the book, like crowdsourcing typologies, the importance of commitment of management, legal issues… I won’t list them all. The book is small and short, so it shouldn’t be too much of a hassle for you to read! If you really don’t want to read it, you can watch the following video (below). But I’d advise you to actually do both, because it won’t take you more than 2 days to read through the book, and you’ll be much more informed to talk and write about crowdsourcing after you read it. At the end of the video, as in the book, Brabham says that crowdsourcing will grow in importance in the next years. This year might be an important year for crowdsourcing to get widespread business acceptance, and the last years have already seen strategic partnerships signed between crowdsourcing actors like Innocentive, eYeka or Kaggle and traditional actors like advertising agencies and business consultancies (I’m currently preparing a blog post about that). 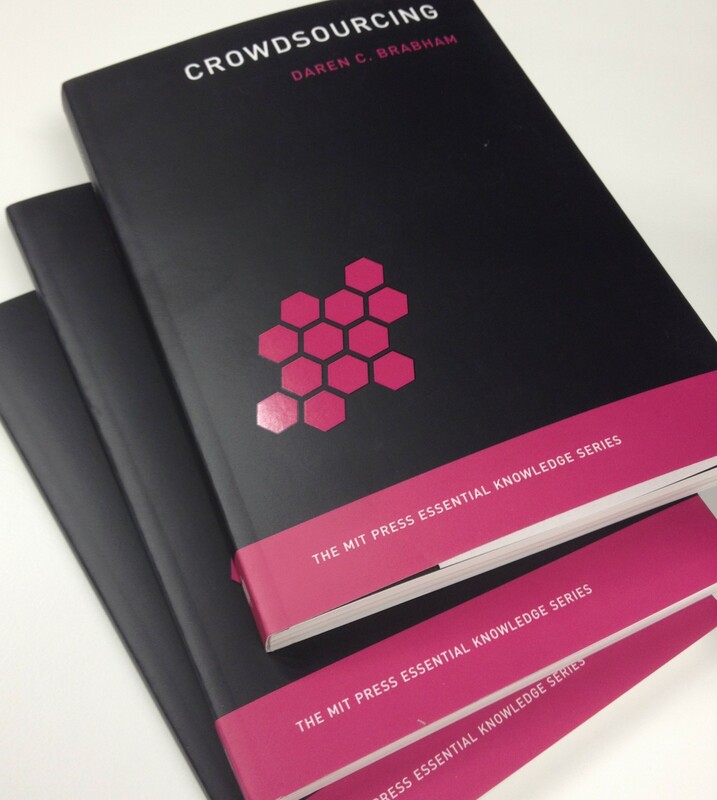 I hope that the book will serve as a basis for everyone to talk about crowdsourcing, because it is very clear in saying what crowdsourcing is and what it isn’t.